Outdoor Storage is the Way to Go! 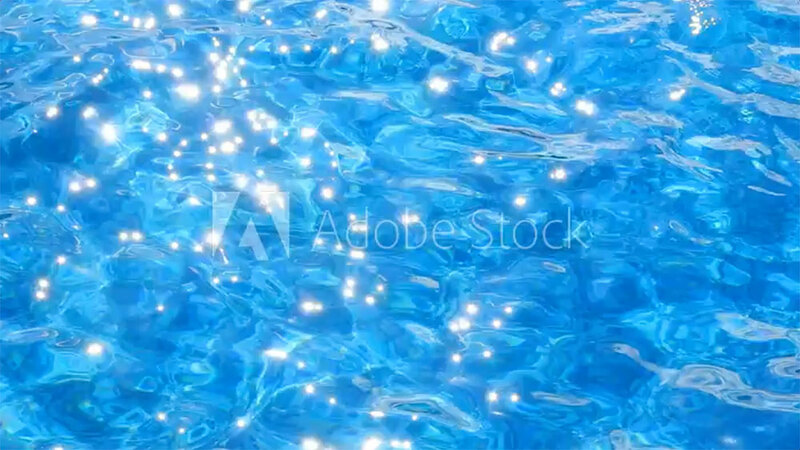 You work hard to keep your backyard looking great all summer long. But sometimes it is hard to keep all of the pool toys and towels from messing up your clean space. 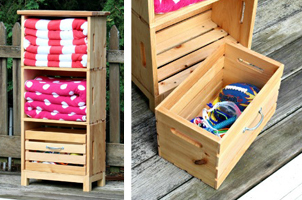 Create an amazingly easy storage unit that will accent your poolside and keep your space clutter free. Note: If you are using power tools or saws to cut the boards, please use proper eye and hand protection. Build the base using 2×2 boards and 2 1/2″ exterior grade pocket hole screws. TIP: Keep the pocket holes facing upwards (they will be covered by the crate), it’s easier to attach the short sides this way versus using a right angle drill. Step 3. Attach the “long side” pieces to legs using wood glue and 2 1/2” pocket hole screws. Repeat with the other “long side” piece until you have a rectangle base with legs. Note: depending on the crates you pick up you might need to alter the lengths of the “short side” and “long side” pieces. Attach the first crate on its long side to the base using wood glue and 1 1/4″ exterior grade wood screws. The opening of the crate should be facing out. Tip: Test-stack your crates before attaching them to make sure that they are as level as possible. Attach the next crate to the previous crate using 1″ exterior grade wood screws, angle the screws up in from the underside of the lower crate into the thick side portion of the upper crate (marked in bright blue on the picture above). Do this for all four corners. Attach the last crate on top of the previous create by repeating step 3. Attach using wood screws. To make the ‘pull-out drawer’ disassemble the last large crate, it will be rebuilt to fit inside the bottom large crate. Step 1. Gently pry off the side and bottom slats using a putty knife or pry bar. Once completely disassembled you will have 2 end pieces and 13 slats. Step 2. Trim down the end pieces to 8 1/2″ wide as shown above. Step 3. Trim down the slat pieces to 16″ long. Begin reassembly starting with the bottom slats (run four across the bottom with equal spacing). Then move to the sides, use wood glue and 3/4″ finish nails or staples. You will have one leftover extra slat. Step 4. Attach a handle at center front if desired. Top it off by adding 3 cedar boards cut to 19 ½ inches. Secure the boards to the top crate from the underside using wood glue and 1″ wood screws. Use sandpaper to smooth out any rough edges from either the boards or the crates. (Optional Step) Add a touch of color by painting your poolside storage unit to match your backyard aesthetics. I recommend a qt. of exterior paint for extra protection. Make sure to prime the wood first before painting it. Seal everything with exterior grade clear satin polyurethane to protect the wood from the elements. Polyurethane is available in both spray and liquid containers.